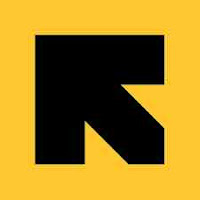 The International Rescue Committee (IRC) is an International Non-Governmental Organization working in 40 countries, responding to the world’s worst humanitarian crises and helps people to survive and rebuild their lives. With funding from donor governments, institutions, companies and individual supporters we strive to support people meet their basic rights with dignity and to be protected. In Tanzania, the IRC supports refugees and Tanzanian people in- and – out of camps with education, health and protection services. The External Liaison Manager is a key role, ensuring that IRC has an effective and updated analysis of country and regional affairs, has very strong external relations with government and key partners, is fully compliant with Tanzanian legislation and that IRC is able to work effectively to influence and advocate for IRC priorities. Reporting directly to the Country Director, the role is responsible for the development and maintenance of excellent working relations with government stakeholders, visitors and others partners. The External Liaison Manager will ensure IRC has a good analysis of critical issues in terms of country context and external affairs and will provide regular briefings to the SMT and more widely. The post holder will represent IRC in external forums, lead in supporting the Country Director on Advocacy and influencing plans. The role will also maintain responsibility legislative compliance. This includes, oversight of organizational registration and documentation, international immigration details, including visitors and other delegates. • The role will project manage IRC’s advocacy and influencing strategy, coordinating with programme, technical and management staff. • The ELM will develop external relations with other influential stakeholders, enabling IRC to deliver and expand its mission in close coordination with programmes, grants, supply chain and HR teams. • The ELM will represent IRC at key external forums, in external and organizational meetings. • The ELM will coordinate and deliver on key events related to the strategic implementation of IRC plans. • The post holder will be a key advisor to the country director on legal affairs, maintain direct relations with IRC’s external legal counsel. • Trouble shooting/ Crisis Management: called in to support challenges and crises, including as a member of the crisis management team. • Additional advisory and support duties for the Country Director, SMT and more widely. • Regular travel to Dodoma, field sites and elsewhere as required. • University degree from a recognized institution or a high degree of relevant professional experience. • Excellent analytical skills, ability to analsyse context and convert in to accessible summaries. • Development or humanitarian experience, ideally within an NGO context. • Excellent understanding of the Tanzanian context with relevant understanding of government departments, preferably with existing relationships and networks.